With more secrets being uncovered, the liars all have something to deal with; A.D sets a game for the liars. 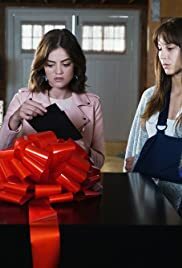 After hearing the news that Nicole is alive, Aria and Ezra have to deal with the fact that Nicole is back in Ezra's life and what that means for them. Spencer, fresh from being shot presumably by A.D., must now deal with the repercussions of being told Mary Drake is her biological mother. Alison must cope with the news of her pregnancy as Emily tries to stay by her side and guide her through the next steps. After spending a romantic night together, Hanna and Caleb will explore where they go from here.